Green is the ideal color for a wedding as it symbolically represents renewal, fertility, rebirth, and hope. It is a natural color that represents the joy of a new spring. In some cultures green is viewed as the color of money and good luck. Green is also well recognized as representing kindness to the environment. It truly is a wonderful choice for a wedding theme. This color is unique in that it can be used as the decorative tone for the celebration or it can be used as a "go green" environmentally friendly theme as well. Many modern weddings are now choosing to use a combination of these two themes in celebrating their special day. It has many shades and therefore also many attractive choices in clothing and decorations to celebrate this occasion. Bright shades of green can easily be used to portray a happy spring wedding theme. Light shades of green fit in nicely with these livelier hues. Combined with white, yellow, pink or black this is a delightfully fun wedding color theme. A light soft colored green combined with white, yellow, or pink will create a gentle, innocent, or delicate wedding theme look. Green aqua will combine best with white or blue colors to create a fabulous water, winter ice, or beach related wedding theme. It is not only a color which can combine nicely with other shades of green but it can also combine well with a variety of other shades to create a dramatic or symbolic wedding scheme. Colors that match well with are white, yellow, pink, grey, blue, brown, and black. To create an earthy or fall color arrangement, choose a combination theme of green and brown, or a three color arrangement of green, orange, and brown. A very versatile color wonderfully refreshing in the symbolic messages that it portrays on a wedding day. There are many green wedding themes to choose from. Go Green' eco-friendly wedding theme. Saint Patrick Day wedding theme. Park, backyard, or other outdoor wedding. Men's vests are not an expensive item but are a wedding day accessory that can add such a distinctive touch of class.The dark emerald green compliments both lighter and darker coordinating colors. Pair with white, gray, navy, or black. Classy yet with a casual touch this color is wonderful for a spring, summer, environmentally friendly wedding theme, or even for St. Patrick's day wear. For the men a coordinating green vest and tie can combine perfectly with many other shades. Shop for locally produced goods whenever possible. A local seamstress can be commissioned to make your dress, a local baker to bake your wedding cake, and purchase only locally grown flowers for use on your wedding day. It is amazing the carbon footprint required to ship goods from one area to another. You can help to reduce your wedding day green house gas emissions simply by shopping locally. Purchase or redesign a used wedding dress. Use environmentally friendly decorations of glass, paper, cardboard, fabric, or other recyclable materials rather than items made of plastic construction. 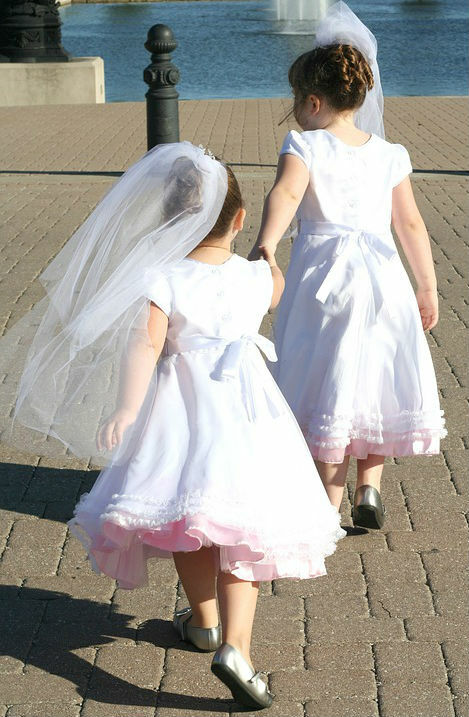 Use wildflowers for the bride's bouquet, flower girl's petals, and for the men's Boutonnière. Suggest that bird seed rather than confetti be tossed outside of the church or prepare small packages of bird seed to be thrown by the guests. Hold your wedding and reception in one venue rather than two. This will not only be environmentally friendly it will also be more economical. Create edible table centerpieces of fruit or vegetables so they can be consumed and not an eco contributor after the reception is over. Host your wedding and reception outdoors. A wedding at a local park or in the backyard can be delightfully charming, economical, and environmentally friendly. It can be considerably more economical to host your wedding in your own or a family members backyard. It can also be a delightfully eco friendly option as well. A gazebo or an extra large storage or tented area may be the perfect venue to host your wedding in. Make your own centerpieces using natural elements. Branches, plants, flowers, stones, fruit or other food display all work wonderfully as eco friendly wedding centerpieces. After the wedding donate your decorations and other items so they can be reused. Weddings can be earth friendly if you plan them to be. Reduce your carbon wedding footprint. 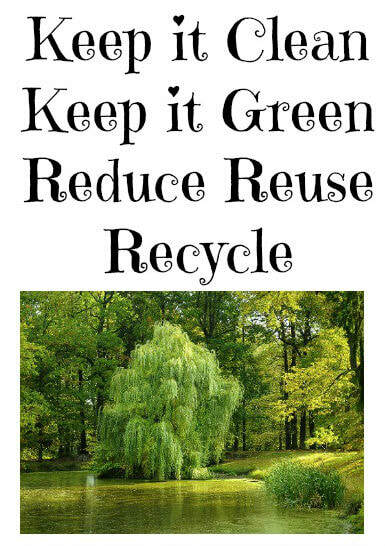 Use environmentally friendly products as much as you are able to. Then reduce, reuse, and recycle the rest. An eco-friendly wedding is one that everyone gets to enjoy. It is customary to give a small favor to the guests who attend the wedding.Generally these favors are small boxes or bags of mints or other sweet treats that are set near the dinner plate and intended for the guest to use to freshen their breath after the meal is complete.